The success’ secret of the ‘Frantoio Gabrielloni’, born in 1955 from both initiative and experience of current owners’ grandfather, consists in never making compromises, focusing on quality, respect for nature, and considering oil not as a mere seasoning, but as a first nourishment. 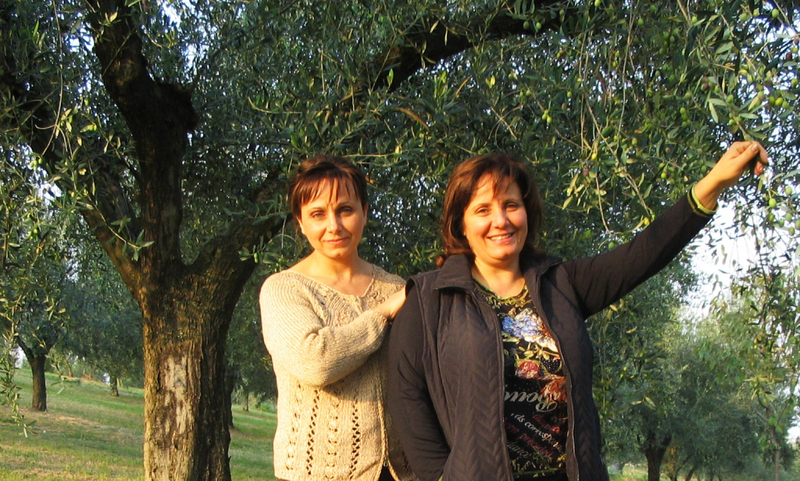 Elisabetta and Gabriella Gabrielloni have always processed the raw materials produced from the olive groves they own in Recanati (in the province of Macerata). 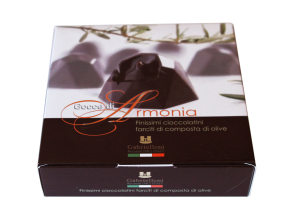 Over the decades, this reality has acquired more and more know-how, has expanded its facilities, and modernized its plants, adopting innovative and non-invasive criteria for the cultivation and production, by means of which its products have won both national and international gourmet’s appreciation. These are two high quality extra virgin olive oils, UNI EN ISO 22005:2008 certified, with CSQA brand, addressed to a niche market. 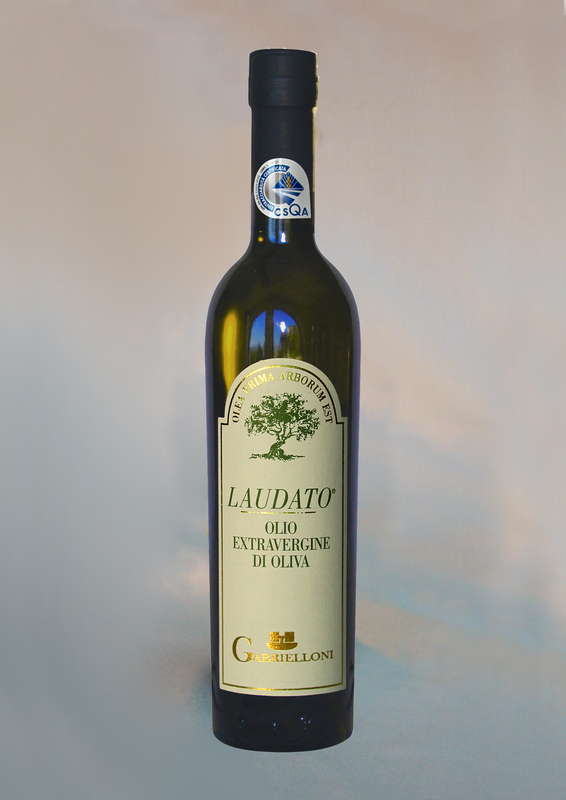 Laudato is a blend of selected mono-varietal oils, created 25 years ago by Gabrielloni sisters’ inspiration and experience. It is rich in polyphenols, characterized by a low acidity as well as a pleasant green and persistent fruity. It is basically sweet, with a hint of spice and a slightly bitter aftertaste. 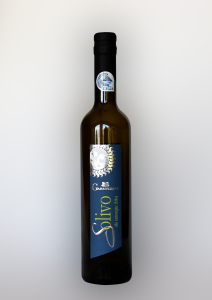 Solivo, obtained ​​by pressing a 'melange' of olives’ varieties harvested at the right point of their ripeness, has been produced since 1955 and it is characterized by a very faint scent of fruit, a green colour with golden yellow highlights, a sweet flavour, with a hint of bitter, and a round and very harmonious taste. It represents 70% of the production, and it meets the tastes of medium-scale retail trade, being required by high range importers, too. 'Sapor' are two seasonings characterized by different tastes, one prepared with lemon and one with garlic and rosemary. The first one presents a delicate hint of lemon. It is excellent for first courses prepared with rice, meat, steamed vegetables, and salads. The other one is excellent with the typical Italian ‘Bruschetta’ and roasted meats. ‘Armonia di Olive’ is a compote characterized by amaranth colour which combines the olives to sugar and scents of the garden. On the table it goes well with meat dishes, white meats, fish and cheese, but also results to be appetizing with pastries and desserts. ‘Gocce di Armonia’ is the most recent creation: it consists of a box of dark chocolate pralines filled with ‘Armonia di Olive’, thus combining the bitter-sweet taste of chocolate with the sweet and sour flavour of the compote. 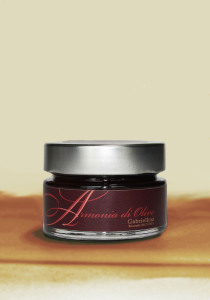 Gabriella explains: «In our mill, we realized ​​a real 'atelier of taste'. We would like to educate more and more to the correct use of extra virgin olive oil, excellent for health from early childhood. For this reason, for years we have tried to communicate the right methods to adopt in order to make an informed choice, fighting the pseudo-culture which tends to propose a lower consumption of oil as well as the incorrect perception the consumer often has of this product». The products proposed by Gabrielloni, exported to Japan, EU, Germany, and Russia, are required primarily by restaurants, chefs, and buyers. Gabriella Gabrielloni reveals: «In the future we aim at United States and Canada, and in order to enter these markets, too, we will continue to present our reality in a transparent, clear, and defined way. We give great importance to our packaging, which is handmade following a thorough and meticulous graphic design studio, since the purchase, before being aware, is always emotional, and good packaging can stimulate it. We have also just formed a company for foreign trade, called ‘Marches For Brands (M4B)’, through which we select high quality food and wine products, that allow us to promote our territory, and have the goal of bringing Gabrielloni oil in the markets we have not reached yet».